I've had this particular meme in the back of my mind since the first Thor movie, and now that the new Dark World trailer is out, I figured I'd throw this together for a few dumb laughs. 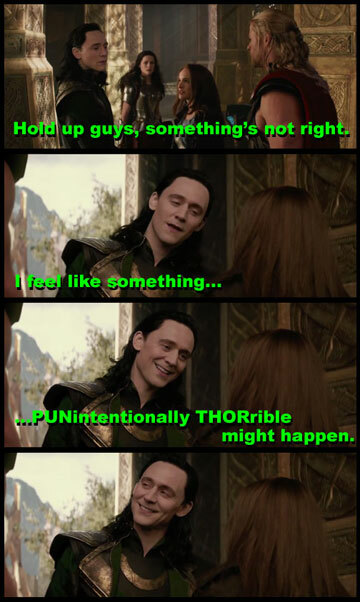 It's just Loki being his old trickster self again. Originally I wanted to do a CSI: Asgard with Loki putting on the glasses and "YEEEEAAAAAAAHHH!!!" over the city skyline for the final panel, but maybe I'll think of something better for that. Enjoy.